Dave, nice job. Speaking as a casualty (or fatality) of this very issue, I can attest to the principles here 100%. I’m always curious about what people use to “know” their monkeys, tasks, etc. Given the close relationship between time management & monkey management, have you discovered a great time management tool / system that effectively discharges monkeys? A colleague of mine shared with me his secret for seeing his EMAIL MONKEYS a few years back. And this usually takes a bigger leap of faith, but it is HUGE for my ability to SEE my monkeys and act quickly on them. “A monkey is whatever the next move is when dialogue between two parties ends,” right? Therefore, emails become a massive collection of monkeys. So, here’s what I do … I delete EVERYTHING that doesn’t REQUIRE a response. My Trash folder becomes my massive archive if I ever need to review an email from before. I TRY to keep my inbox below 10. I have 8 in there right now (I have 24,985 in my Trash Folder). Again, I delete everything that doesn’t require a response, a next move. So my inbox are only monkeys that need my attention. I’ll sometimes put on my calendar an email/monkey to address if it can’t be done immediately or if I’m in the middle of other more important things. It gives me a tremendous sense of control and organization. I breathe/sleep easy knowing that I don’t have monkeys hidden in an inbox of 10,000 emails (those hidden/forgotten monkeys are the ones that undermine my credibility with people who are WAITING forever for me to respond). I do not use folders to organize emails from So-And-So or emails on a certain topic. I’ll use Evernote to record emails on a certain topic of a project I’m working on. Folders are just more hiding places for monkeys. It could take a weekend to thin out your inbox depending on the size. So, you may just want to rip off the bandaid and delete everything older than two months and thin from there. Ouch. No, really. That hurt. Can you hear more humbling words as a new leader? That’s what our CEO told me years ago when I passionately made the case for him to have me train anyone in the organization who would listen about creating a world-class service environment in their facilities. I had just gotten religion and like any new convert, I was ready to evangelize. 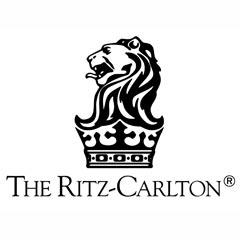 After attending a Ritz Carlton day-long training, I was convinced that becoming the ‘Ritz Carlton’ of skilled nursing facilities would be the ultimate lever to pull to transform and turn around a facility that had failed survey 8 years in a row (under prior ownership) and lost us a lot of money out of the gate. Not only that, but I had found my voice as a young leader in long-term care. I came back to my facility after that training and, with my team, created our version of a world class service culture. (Remind me to post on the process later b/c the process is where the magic lies, not the outcome). After just a couple months of establishing the new culture, I made my pitch to our CEO. I can get pretty animated when I’m talking/debating/evangelizing something I’m passionate about. I knew this was the answer for my facility and, therefore, all of our operations. The facility had transformed. In about 12 months time it went from worst to first in the org. financially and passed survey for the first time in 9 years. Customer satisfaction was high. Turnover was low. We had RESULTS. Those results are what caused my partners throughout the org. to PULL me to their facilities to share what we had done instead of me trying to PUSH my way on to their radars. He was right. Ideas and passion are important when it comes to bringing transformative ideas/culture to a facility or organization. But, if presented prematurely — before the results or proof to back it up — the idea or idea giver won’t take root and won’t make the difference s/he’s so passionately trying to make. 18 months later, I began each training session on world class service with the results – Before on the left side of the white board and After on the right side. I then put a big question mark in between. The stark difference in the before and after is what brings the credibility … and causes the DEMAND for you and your ideas. It’s easy now to look back and see the wisdom of my CEO’s candid rebuke. But, at the time it was devastating ego-bursting stuff. I recently interviewed someone who wanted to be a regional resource. He has a magnetic, positive personality and he knows his stuff. His problem, however, is that his on-paper results are sub-par. We talked candidly about the huge challenge he would have coaching/teaching others without being able to say, “Do this because I did and look at my superior results.” For him, like me years ago, the timing isn’t right. I’m sure he’ll get his shot … when his results match his enthusiasm. Credibility is a non-transferable asset. When you move from one group, team, division, or company to another, you start over. You start over … if you’re smart. If you’re blind to the fact that credibility is a non-transferable asset, you assume that these new people who you need to develop relationships of trust with will pick up with you where your former group, team, division, or company left off. Or, you assume that the new group, team, division, or company will quickly see in you what the former did. It doesn’t work that way. So, what inspires belief? For me, a leader’s true intention must be made clear. Second, his/her actions must match that intention. Third, those actions must lead to the desired results. * Am I taking the time with each individual to articulate my intention and related plans? * Am I acting as though I already have their trust prematurely (i.e., making unilateral decisions, trusting that they will buy-in b/c the decision is coming from … me)? * Am I holding myself accountable for the results? The number of initials that follow your name, the resume, the references … they get you through the door. But, once you’re in, you START OVER at earning the credibility of those you lead and those that lead you … if you’re smart. In my first facility in Glendale, AZ, I was eager to prove myself as the best leader my staff had ever seen. One problem with that was … that I wasn’t. But, I’m getting ahead of myself. In my AIT program (Administrator in Training) I learned as much as I could about the departments I was to oversee. But, I failed to dive deep enough into the nooks and crannies of the facility which resulted in insecurity in me, the new leader, when it came to supervising department heads and holding them accountable and teaching them. So, instead of investing in building a relationship of trust with my department heads who could then, in turn, do the same with their staff, I felt much more comfortable working out on the floor with the line staff. I would show how much I cared for them and the residents by staying out of my office and walking around. I would be visible. I would get to know everyone by name. I would get to know their lives. It didn’t occur to me at the time but my department heads resented my behavior. I’m saying they resented me being visible and out of my office. We all should do that. The ED who’s stuck in his office all day becomes out of touch, ineffective, and won’t be employed very long. BUT … what they resented was that I was spending the necessary time to hold them accountable, invest in our relationship, and help them succeed. Some of them felt like I was ‘going over their head’ or ‘undermining’ them. What I learned, the hard way, was that when the ‘line staff’ feel so comfortable with you/me as the administrator, that can threaten their direct supervisor’s relationship with them. And, their supervisor (your department head) feels it and trusts you less. It happened to me. Don’t let it happen to you. Of course we should know everyone by name. We should have an open door. But, we should direct them to talk to their supervisors first before rushing in to solve problems. And, we should make time, at least once a week, to have a meaningful status review with each department head. That tweak to my management approach made a huge difference in my effectiveness and results in my next two facilities. I love the book ‘What Got You Here, Won’t Get You There‘ by Marshall Goldsmith. Our CEO introduced it to me/our organization a year or so ago. As I see Administrators in Training (AITs) learn, grow, lead I see some of them not understanding a similar truth: ‘What got THEM THERE, Won’t Get You There.’ There are certainly lessons to learn from more experienced leaders that new leaders would be wise to not repeat the hard way. A friend of mine who is in his second semester of his first year in the school of hard knocks shared this with me and it rang true as I talk to new leaders who are trying to duplicate the ‘voice’ or the ‘vision’ or the ‘religion’ of other leaders before them. Take the time to earn CREDIBILITY with your team/employees. How? Using the 3 Signs of Miserable Job framework, spend the first couple months with each of your direct reports to get to know them deeply (Anonymous), helping them see the importance of their job (Relevance), and deciding together how to best measure their performance (Measurement). This shows them how much you care for them and their success. It builds trust. It lays the foundation for loyalty. Which prepares you to establish, with them, the WHAT/VISION. Instead of using someone else’s vision (unless your passion for it matches or surpasses its creator), empower your team to create a shared vision or direction for your operation. This process usually takes a couple months if done right. The creative/participatory process earns the vision/direction immediate buy-in that force-fed vision/direction lacks. Taking the time to establish the credibility and forming the relationships of trust is the lubricant that allows the establishment of a successful, shared vision of the future.